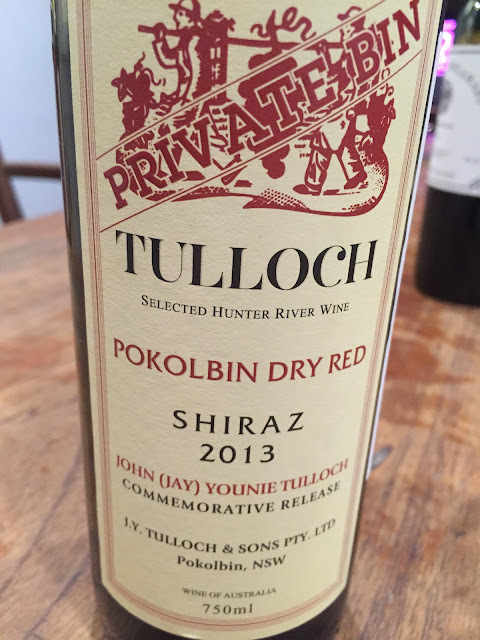 Tulloch have done a great job of reinventing themselves over the last decade, with clever CEO (and fourth generation family member) Christina Tulloch successfully turning what was a family company swallowed by the Fosters/Southcorp monolith back into a family company again. An important part of the Tulloch revival story has been a re-embrace of classical Hunter wine styles – early picked Semillon; medium bodied ‘Hunter Burgundy’ (Shiraz) and full flavoured Chardonnay (plus Verdelho for good measure). You could hold up this Shiraz as the most gloriously revivalist of the lot. Made in a form that echoes the Private Bin wines of old (like the ’54) and dedicated to Jay Tulloch’s 50th vintage, this is very much driven by acidity. In fact, that low alcohol, high acid style is going to make this a polariser. But that’s the clincher. The longer this is open, the more you appreciate the freshness and gentle nature. I had it open for three days and it still looked bright, red fruited, softly earthen and mid-weight on day three, the orange juice acid giving tang to the finish. Ultimately this will probably win more friends if the acid was toned down a little (there’s clearly some added acid in here). Yet that crisp edges is also a key part of the obvious appeal. Would I buy it? I wouldn’t mind a bottle or two in the cellar to see how it goes.